Since eBay came on the scene at the end of the 20th century, countless small businesses have popped up online offering a virtually endless list of products. These small businesses have mainly been run by solo entrepreneurs, most of whom spend a significant part of their work day packing and shipping items around the world. While they don't often advertise it, the U.S. Postal Service has been fairly responsive to this new breed of business owners, offering extended hours at some venues and even free packing materials for some categories of shipment. 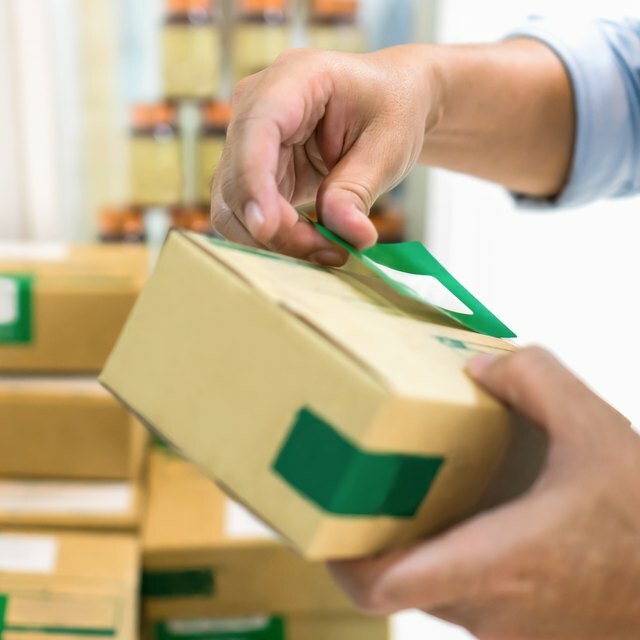 The right type of shipping for your business depends on what's in the package, where you're shipping it and how large your product is. The price you pay is a result of a combination of those factors. Your product is the first consideration when determining how to ship your goods. The USPS has a special low rate called Media Mail. It's slower than other forms of mail, but it offers significant savings, which can be important to your customers. It's only available if you're shipping media in the package and nothing else: books, CDs, DVDs, videotapes and the like. You can include an invoice, but anything else, including a simple letter, makes the Media Mail rate invalid. If you're not shipping media, you have a couple of other choices. Pick one of the Priority Mail flat rate packages and, as long as you can stuff your product inside, it will ship for a special set rate. Otherwise, you can still use Priority Mail or use the post office's Retail Ground rate to ship your goods. All of these rates are exclusively for domestic shipping inside the U.S., along with military bases. If you decide to ship to customers in other countries, you'll need to rely on the international mail rates. Retail Media Mail package shipping rates are based on the weight of each individual package. Both large envelopes and parcels pay the same rate. Use a digital scale to determine the exact weight of your wrapped package. If it weighs under one pound, the rate in 2018 is $2.66. For every extra pound, the rate increases by 51 cents. For every mail order business, the cost of packing materials has to be built into shipping costs charged to customers. With Priority Mail, you've got the option of getting all of your shipping supplies for free, directly from USPS. The post office maintains a website that offers dozens of shapes and sizes of packages for your shipping needs, along with labels, envelopes and even stickers, all for free. You have two choices when it comes to Priority Mail. If your product weighs under 70 pounds, you can use the flat-rate packages. Their shipping cost begins at $6.55 and depends on the size of the package. Other Priority Mail packages are charged according to their size and the zone into which they're shipped. Using a USPS shipping calculator shows that a two-pound package would ship from Florida to Michigan for just under $10. You may be familiar with the old Parcel Post or Standard Post, but today the post office is calling it Retail Ground shipping. It's an economical way to ship anything that's not media and that weighs under 70 pounds. It's also the best option for oddly-shaped packages, such as tubes or very long boxes. Retail Ground shipping prices begin at $6.70 for a one-pound package. If you're planning to ship a package outside of the U.S., your postage rate will depend on the weight of the package as well as its eventual destination. The post office maintains a USPS price calculator specifically designed to determine international postage rates. Digital postage scales are more accurate. Manual postage scales will work but are more prone to human error. There also are options for flat-rate envelopes and boxes available through USPS if you prefer. The rates already are determined, and you do not need to weigh or measure your item as long as it fits completely inside the envelope or box you choose.